When suffering from fibromyalgia, daily chores can seem insurmountable. What once seemed easy, like dusting or taking out the garbage, is now a chore you dread. Follow these three easy tips to make cleaning easier when you suffer from fibromyalgia. One thing that many people with fibromyalgia struggle with is balancing what they can do and what they should do physically. Some days you may wake up with no pain and an unusually high amount of energy. This is great! But where it can go wrong is if you overwork yourself, rendering the next few days full of discomfort and unproductive downtime. Instead, pace yourself by scheduling one chore for each day of the week. If you live with someone, discuss with them how to best share the household cleaning duties. 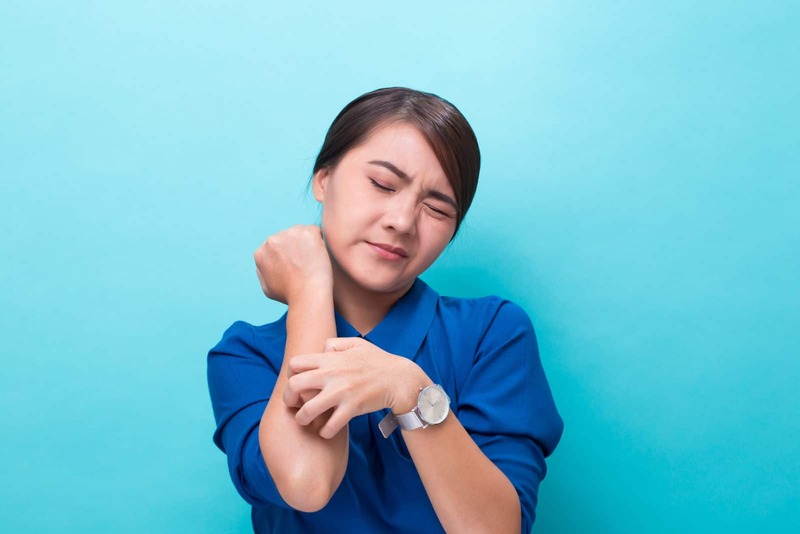 If you notice that your fibromyalgia pain tends to strike your back more so than your hands, forearms, or legs, then volunteer to do the dishes in exchange for your housemate taking out the trash or vacuuming. However, if you notice that you are more comfortable dusting or that doing the laundry is less tiresome for you as you can take breaks between loads, ask your housemate to cover some of the other household duties. If you live alone, reach out to a neighbor or a friend. A friendly neighbor or local teen trying to make some extra money may love to help you mow your lawn, walk your dog, or vacuum your house every two weeks. Similarly, if you have a local friend who knows about your condition, ask if they would be willing to come over once per month and help you do some housekeeping. There are a number of gadgets that can help you maintain your home even in the face of fibromyalgia pain. If vacuuming and sweeping are the bane of your existence, invest in an automatic vacuuming device that will take care of the floors for you. Robots such as the Roomba are a terrific investment because they allow you to schedule cleanings (daily, every other day, weekly, etc.) and forget about lugging out that heavy vacuum cleaner or wrenching your back with that broom. For windows, ceilings, and dusty corners consider purchasing extendable dusting tools. The Swiffer 360 Duster Extender, for example, lets you get into hard to reach corners, dust the tops of ceiling fan blades, and high window sills without having to step up on a stool or strain your reach. If taking out the trash is particularly difficult for you, buy a kitchen trash can with wheels. Depending on which household chore gives you the most trouble, purchasing products to help you can go a long way to alleviating your stress and pain from fibromyalgia. Fibromyalgia is a cruel and tricky condition that likes to sneak up on you when you’re least expecting it. So be ready for anything by scheduling small amounts of work each day of the week, asking for help, and purchasing smart devices that make your job easier.